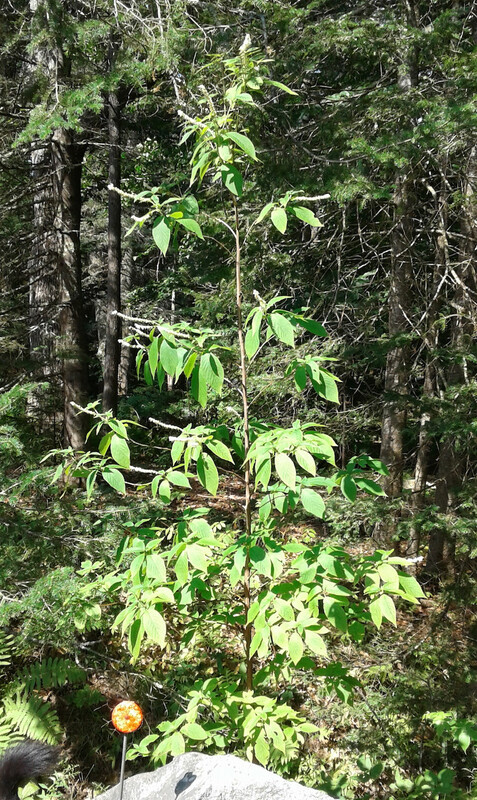 I'd like to identify this tree, growing on the margin of a drainage ditch next to a fairly dry gravel parking lot in coastal Maine, USA (hardiness zone 5b). 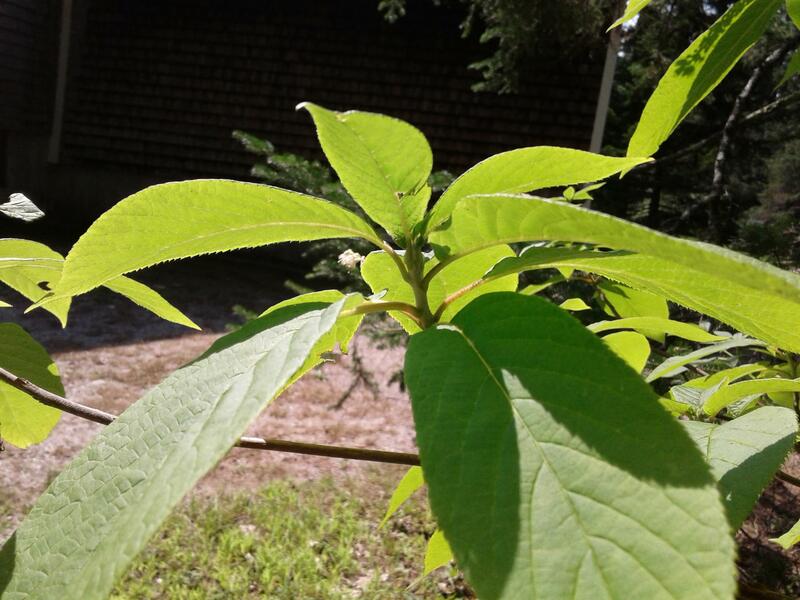 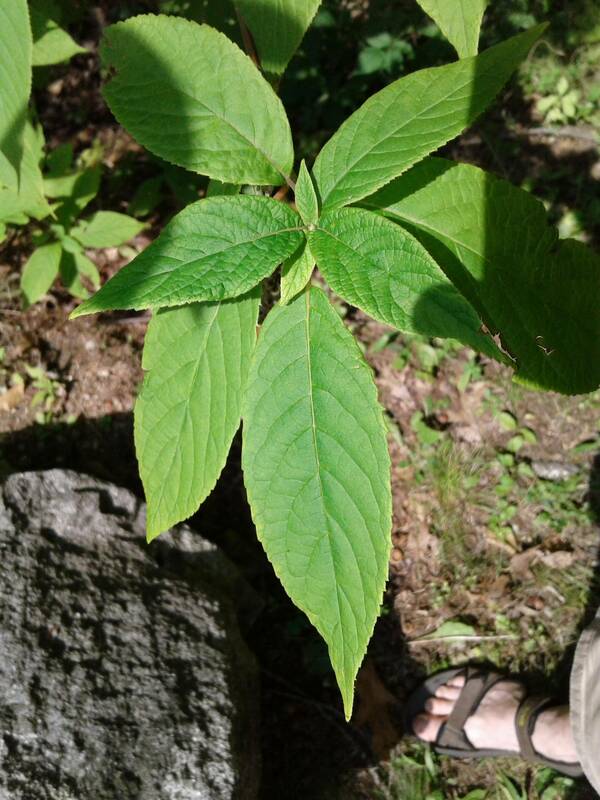 It's currently about 8' tall, with opposite branching; exfoliating bark; 6" ovate leaves with fine-toothed serrated margins that occur in clusters. 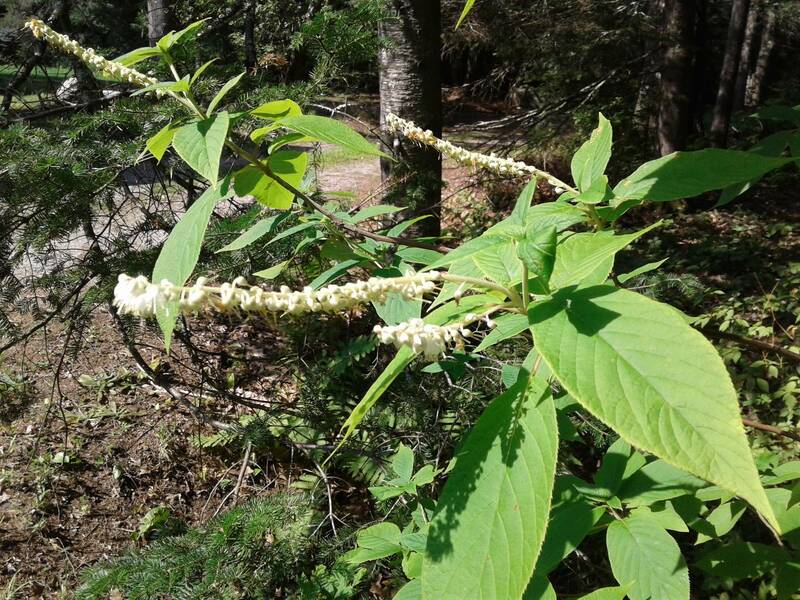 It is currently (August) flowering, with multiple small white buds along a 10" central stems emerging from the centers of most leaf clusters. 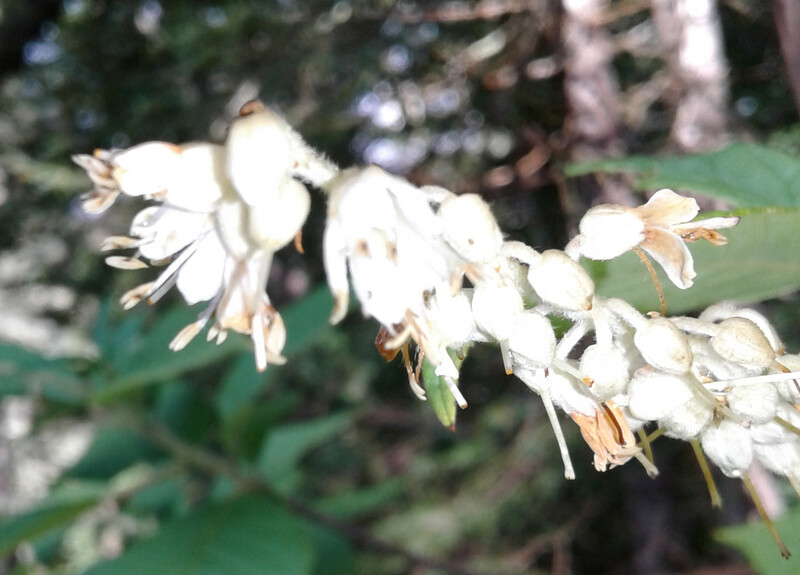 Sniffing the (perhaps mostly gone by) flowers over a couple of days indicated no odor. 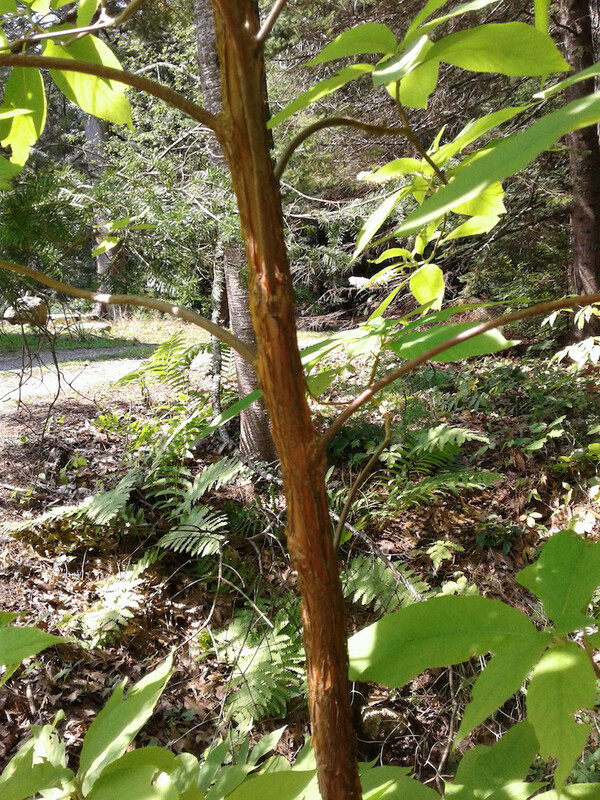 What is this tree with pointed bumps on its bark? 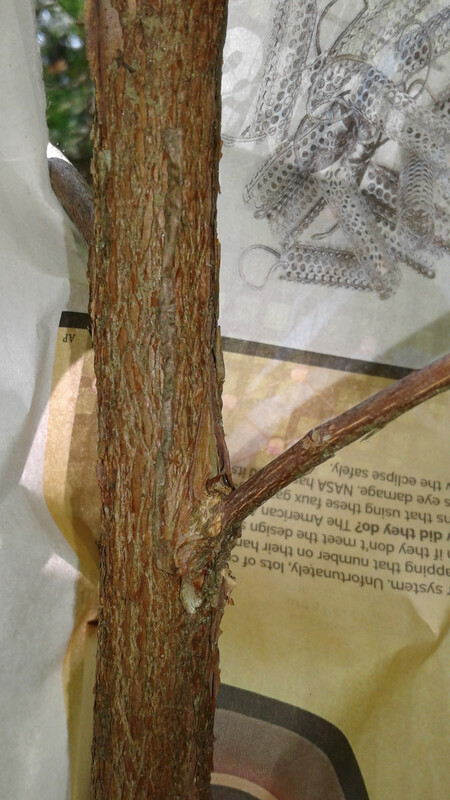 Name of Southern California tree with a peeling bark?